God has shown up yet again in the midst of still another tragedy in London. This time faulty refrigerator wiring is to blame for a fire that utterly consumed the entire 24-store high-rise called Grenfell Tower. As the death toll continues to rise – now up to 79 presumed dead – there was at least one young life that was sensationally preserved by the grace of God. 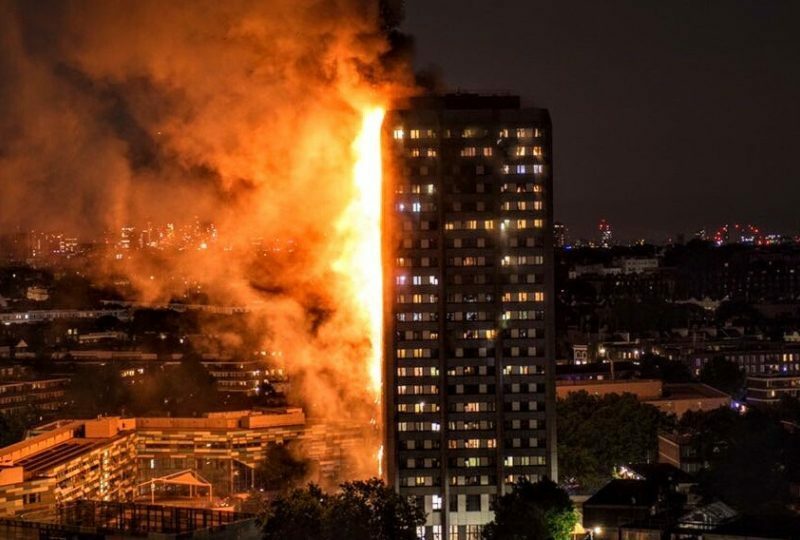 In the wee hours of July 14, an electrical short in a refrigerator began wreaking havoc on Grenfell Tower, located in a city already traumatized by recent attacks. As residents frantically tried to escape the building, 40 firetrucks and 250 dedicated firemen showed up to fight the blaze. The problem is that most residents in this massive complex were asleep. When they awoke, many found that they were trapped – high in the sky with nothing to do but yell out the window for help. One young mother found herself in this precarious position, alongside her baby. Facing the inevitable prospect of her baby’s death in the fire, she ran to the window hoping for a miracle. And that’s exactly what she got. Even as beams were crashing around her and smoke began to choke her, this mother did not give up hope that her baby would have a future. According to witnesses, the desperate mother yelled down from the 10th floor, “I’m about the throw my baby. Please catch the baby.” Onlookers were horrified to watch this young bundle of joy suddenly fall over 100 feet. Without immediate action, the baby would surely hit the cement and die. But one brave man stepped out from the crowd, toward the burning building – arms braced and eyes up, ready to be used as God’s hands and feet. Somehow, even in the midst of utter chaos, he managed to maintain focus and catch the falling baby. Then he brought it to safety. As the death toll continues to rise, rescuers are still unsure about the status of the baby’s mother. Let’s join hands and continue to pray for her and for this mourning city. But let’s not forget to thank God for the rescuers and the rescued. God continues to move, even in the darkest of circumstances. As tragedy continues to strike all over this broken world, it seems prudent to turn to the book of Job for answers. After all, Job was a man after God’s heart, yet he suffered unimaginable trials as a test of faith. Although he did despair, he never lost his faith. And he emerged stronger, wiser, and better off after patiently enduring these trials and never losing hope. Job is the oldest book in the Bible. That is, this ancient story was penned before all others. Why? Because sin and brokenness are an inherent part of this messy world. Before any other parables, poems, and histories were written, this one message rang loud and clear: even the faithful will endure unfathomable suffering in this life, but they must hold on to God’s promises. London’s rainy skies are a little darker than usual due to the onslaught of recent tragedy. But Christians all over the world should unite in hope, inspired by God’s unfailing provision in times of great need. Praise God for saving this young child from the all-consuming fire!